Working in a foreign land without legal papers faces the risk of deportation. Yet many Filipino domestic workers in Geneva, Switzerland brave that risk. They are mostly women and their numbers as OFWs will not decrease any time soon. They will keep going there. Switzerland is now part of the Schengen area. That means Overseas Filipino Workers from other countries in Europe in the Schengen area can now travel there freely. Unlike other countries, Switzerland is lenient on migrant workers. Or the country has more humane laws on migrant workers. Workers get the same treatment as the locals. Like other countries, Switzerland needs migrant workers to keep its economy going. Imagine a day without domestic workers. Swiss people cannot go to work because they need to take care of their children and their elderly. Global organizations cannot function because their employees attend to chores at home. The main reason is the lack of good-paying jobs in the Philippines and elsewhere. There are college graduates and professionals such as teachers who choose to go abroad and work as domestic workers. They take all the chances just to get here, even if it costs a fortune. Second, wages are good. Really good. A domestic worker can earn 2,500 to 5,000 Swiss Francs a month. That's roughly 125,000 to 250,000 pesos! And wages will remain high because domestic workers are in demand. The presence of many global organizations in Geneva helps fuel this demand. 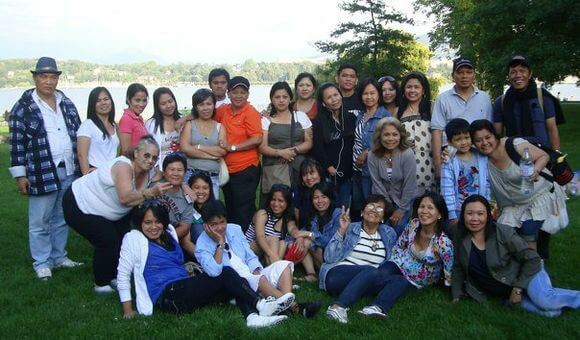 Many OFWs from other countries also go to Geneva because of the good pay. Third, domestic workers have rights under the law. The law spells out the minimum wage, number of working hours per day, number of working days per week and social insurance. Switzerland as a whole followed and passed a national law for domestic workers. Employers look for at least three things. Can the worker speak in English? Can she take care of a baby or an elderly? Can she clean a house? In rare cases, an employer living alone only needs someone to live with. And OFWs have an edge because of their ability to speak English, caring nature and adaptability. Having good contacts also plays a key role. The prospective worker may not know anyone in Geneva but someone she knows does. A friend refers her to someone or to a friend. That friend may know someone who is looking for a domestic worker. Some OFWs get their jobs through the Mabuhay shop in Rue de Fort-Barreau. People needing workers leave their requirements to the owner. The owner then matches the job offers to those looking for jobs. This way the store also acts as a job matcher, free of charge. 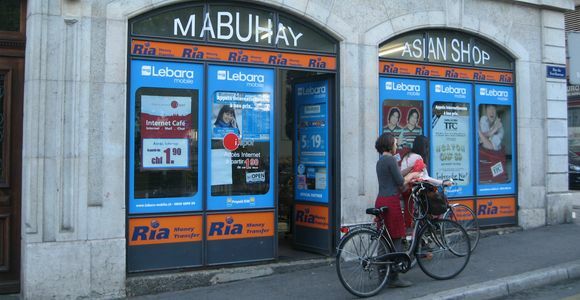 The Filipino store in Geneva. See how you can go and work, not just as domestic worker, in Switzerland. The options may surprise you. The death of family members, even husbands, causes great sorrow for workers with no proper papers. They choose not to go home. They cannot go back once they get out of Switzerland. And the prospect of not being able to provide for their families worries them. Those include the families of their brothers or sisters. That's one reason why some OFWs in Geneva have no savings or investments. They need to keep on working to maintain their families' way of living. This is the case even after many years of working abroad. Some have been there for more than 20 years! Other family problems are even harder to handle. OFWs have to endure the infidelity of their husbands in the Philippines. They try to accept the notion that men need other women while their wives are away. Being long distance parents also does not help. They give in to the money-oriented demands of their children to compensate for their absence. Even with these problems, OFWs will keep going to Geneva to work as domestic workers. The presence of clear legal rights and the higher wages outweigh the problems Filipinos in Geneva face.